VMI took automation in retreading to the next level with a new concept for an automatic builder. 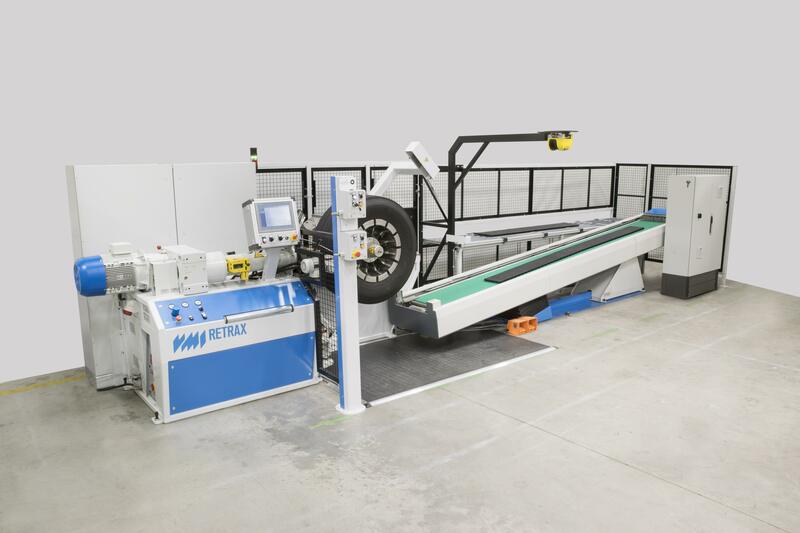 The RETRAX with automatic builder and stitcher uses cushion gum extrusion-smearing technology and automatically applies the tread to buffed tire casings. The new tread applicator is especially designed to deliver the highest quality and highest productivity. The RETRAX with builder features automatic alignment of the tread on the casing which gives a high accuracy. The builder balanced stretching provides a perfectly matching splice. 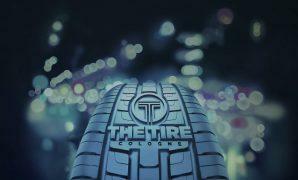 This innovation in automation improves the quality of your retreaded tire. The tread tension is optimally distributed around the tire. 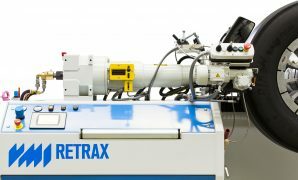 The RETRAX with automatic builder is available for all of our three extruder capacities. The machine cycle time varies depending on the tire size. After applying the cushion gum layer, the tire moves to the tread applicator, where the tread is applied and stretched automatically. The RETRAX builder does not require parameter input for tire width or diameter. 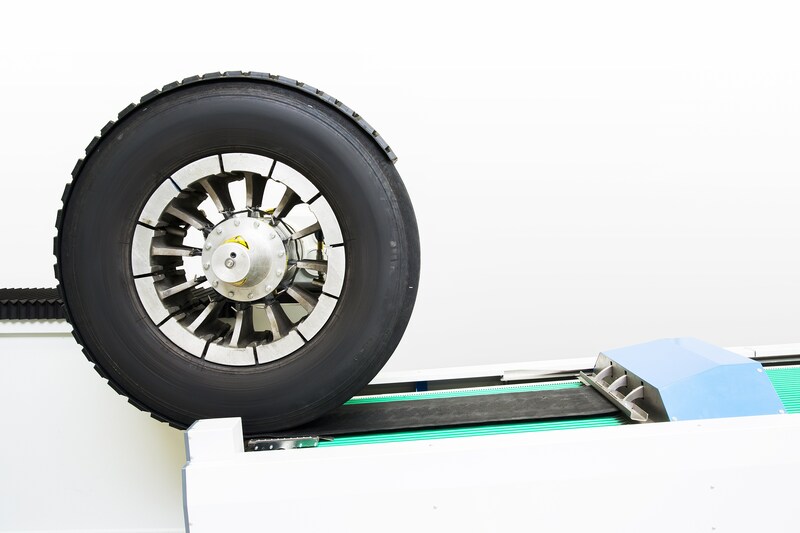 The machine automatically measures the tire and the tread and issues a warning for the operator if they do not match. The builder table has a system to optimally align and center the tread onto the tire casing. The stretching of the tread is calculated and controlled to ensure an even stretch over the length of the tread. This results in a perfect splice. Cushion gum width is adjusted by moveable slides, which change the die opening width of the extrusion head. Specially shaped quick change side dies, known as wing formers, are also available, so cushion gum can be partially extruded onto the casing shoulder.